Our Team | Marnell Financial Services, Ltd.
Dino is the inspiration behind Marnell Financial Services, Ltd, and the co-founder of Advisor Edge Financial Group, Ltd.
Dino is dedicated to building long-term relationships with his clients, and he specializes in comprehensive income tax preparation and tax planning services. He listens and then pro-actively helps solve any financial concerns, whether within the scope of a small business or an individual setting. 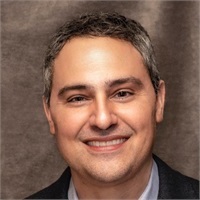 He earned a Bachelor of Science degree in Accounting from the University of Illinois at Chicago and was awarded University Honors, College Honors and Distinction in Accounting for his academic achievements and was named to several honor societies. Dino is a Certified Public Accountant, licensed in multiple aspects of insurance, and an Investment Adviser Representative of Woodbury Financial Services, Inc. Because of the ongoing education he receives as part of his various licenses, you can rest assured the solutions Dino and the Marnell Financial Services team offers are completely current with any new laws. 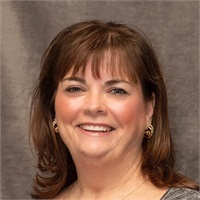 Gina, who has worked with Dino Marnell since 1997, utilizes her expansive understanding of income tax and financial planning, handles the general accounting needs of the office and provides clients with small business accounting and payroll services. Gina works with vendors, building maintenance, and manages clerical support staff. She plays a key role in ensuring open communication with clients and staff. 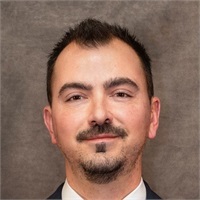 * Gina Warczynski is not registered with Woodbury Financial Services, Inc.
Anthony graduated from Elmhurst College with a Degree in Marketing, with a minor in International Business. He had worked for Marnell Financial Services as a clerical assistant during the tax season since 2001 and in 2017, his position was converted to a full-time tax preparer. In 2018, he obtained the designation of Registered Tax Preparer (with the IRS) and is responsible for income tax returns, tax planning, client communication. He works on special projects with associated research on tax law, tax changes and requirements; Anthony has also been in the investment industry since 2009 and is currently an assistant to Dino. 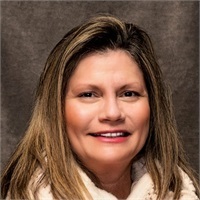 * Anthony Archer is not registered with Woodbury Financial Services, Inc.
Cathie is an experienced tax professional, with over 11 years of experience within a Public Accounting environment, and an IRS Enrolled Agent. She specializes in preparing both basic and complex personal tax returns. 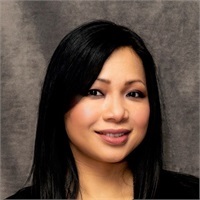 She is currently responsible for tax return preparation for individuals and small businesses, state return processing, Trust/Estate returns, and IRS/State correspondence services. Cathie joined the Marnell Financial Services Team in December 2017. * Cathie Brechtel is not registered with Woodbury Financial Services, Inc.
Cari has more than 18 years of progressive experience and is currently responsible for monthly, quarterly and annual bookkeeping – financial statement preparation, general ledger maintenance, bank reconciliations, payroll preparation, payroll journals, earnings reports, payroll taxes, sales taxes, depreciation entries and adjusting & closing journal entries. Cari came on board in July 2016. * Cari Wilkison is not registered with Woodbury Financial Services, Inc.
Catherine has been working with Marnell Financial since 2013. In addition to greeting visitors and routing calls, she schedules and confirms appointments and assist the staffs with clerical support. Catherine prides herself on her ability to make clients feel at home and well taken care of when they visit our office. She will always be here to greet you with a warm smile and her infectious enthusiasm. * Catherine Collins is not registered with Woodbury Financial Services, Inc.
Jan has a M.S.A. degree from Roosevelt University, and is a Certified Public Accountant with 30 years’ experience in Public Accounting and computer consulting. Her background includes work as a certified consultant with ACCPAC Plus and ACCPAC For Windows software and she is also an expert user and trainer for QuickBooks Pro. 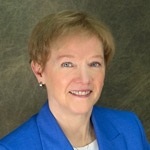 With Marnell Financial, she concentrates on business taxes and complex accounting issues. She has served two terms on the Information Services committee of the Illinois CPA Society. 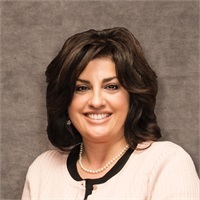 She has also served as State President of the Illinois Federation of Business and Professional Women, and as a member of their National Board of Directors. She became an active member after having been honored as a Young Career Woman by the organization. * Jan Cetwinski is not registered with Woodbury Financial Services, Inc.